Sometimes a morning shower or an evening bath is the only time in the day we get for ourselves. RITUALS is passionate about making these moments, however brief, more rewarding. Through our range of luxurious, high quality shower foams and gels, bath foams and body scrubs we will cleanse, restore and reinvigorate you – turning a few minutes into precious 'me-time'. In collections based on Eastern traditions, each with their own special ingredients and benefits, our shower and bath products keep ancient wisdom and traditions alive. Experience these age-old practices such as your own personal Hammam. 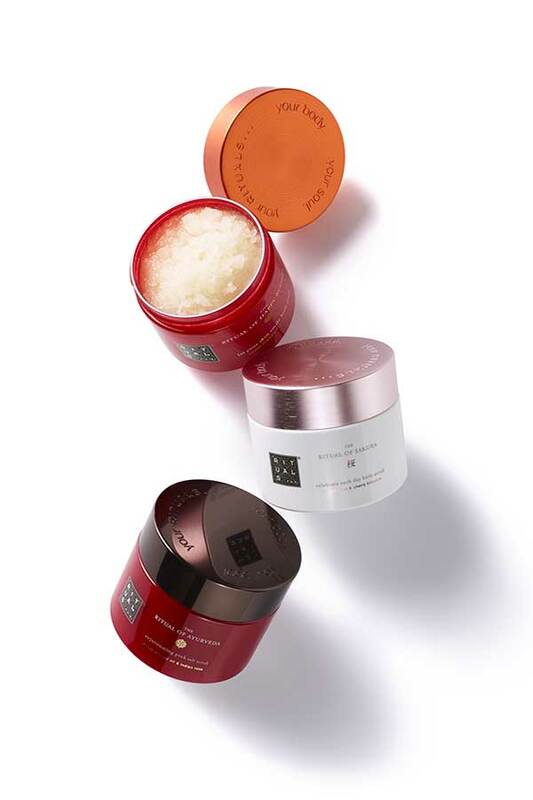 Balance your Yin and Yang energies with The Ritual of Dao collection, or indulge in the Ayurvedic philosophy with our body scrub. Paraben-free and with pure plant extracts, RITUALS shower gels and foams are not only effective, with a rich and creamy lather, they smell sensational too – leaving skin cleansed, moisturised and delicately scented. The same can be said of our bath products – bath foams that create a luxurious silky lather, bath oils that soften and hydrate and fragrances that relax and revitalise. Add a body scrub to your washing ritual for even smoother, softer skin – using natural exfoliants such as sugar and sea salts, RITUALS scrubs contain no synthetic microbeads..
Our range of indulgent bath and shower products for men and women is also available as Mini's. Pack these conveniently sized travel toiletries into your washbag to take to the gym or on overnight trips and holidays. These indulgent personal care items also make ideal gifts and our bestselling giftsets present a selection of RITUALS favorites beautifully boxed and ready to give.